Is that what they call it? I have won so many emotes, shoes, shirts, strap ons, I don’t think they remembered this is a racing game. That said, the game is still awesome. Aren’t hipsters usually with beards? Along with a plaid shirt, skinny jeans and large frame glasses? I guess taking inspiration from lumberjacks, no? You are right, but it's not really a marker for hipsters so much as the hair, shirt and thick-rimmed glasses. Latte in hand! Plenty of non-hipsters wear beards. I do find it annoying now that beards are back in stlye, I don't want to grow mine because of all the hipsters sporting them... and I loved having a beard. Hipsters...... 😆! Wasn't man buns considered hip at one time? I used to be "with it". the game is GORGEOUS I am SO glad I have a 4K set with HDR it really REALLY shows. I love the game so far it was kinda trippy when one of of the NPC's called me Dave I am like how the hell do they know my name I never selected like in some games. Why cant I fast travel yet...? I drove into at least 5 panels by now but it does nothing...one is even on the roof of a 2 storey house...maybe because I havent unocked Summer yet...? Fix for 'low streaming bandwidth' message on high spec PCs when GPU-limited. "Fortune Island will add a new off-shore area to Forza Horizon 4's map. 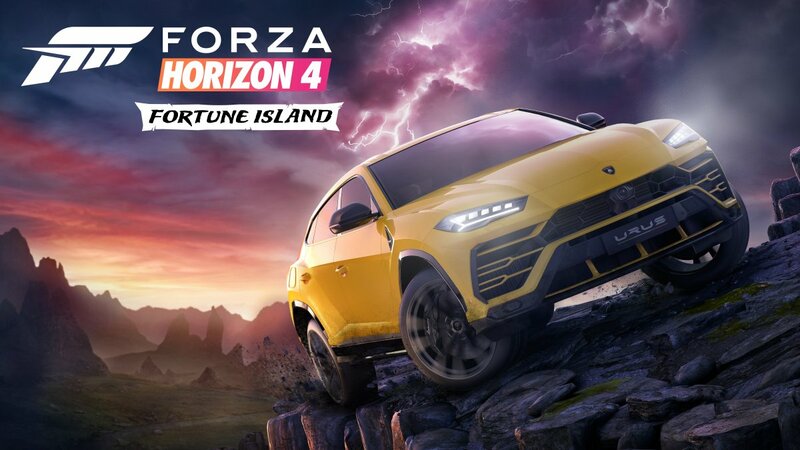 The fictional island resides in "the remote northern reaches of the British Isles" - Shetland, then - and, like other Forza Horizon expansions before it, will focus on extreme weather conditions and demanding driving: "fierce lightning storms, perilous cliffside dirt roads, and sweeping paved mountain switchbacks under the mystical glow of the aurora borealis"
Fortune Island releases on Xbox One and Windows 10 PC on December 13, 2018. The ‘Carlton’ and ‘Floss’ avatar emotes are no longer available. Since they are going full arcade with this game, how about an 80s TV show car pack? With a race where you have to beat Airwolf to the end. How about a TV show car pack? When are they going to announce the second expansion?